Monday October 26th marks the last appointment with the Deli Sponsored, collaborative series The Hum at Greeinpoint's Manhattan Inn, featuring several talented female NYC musicians, collaborating with each other on new material. Monday will see a heck of a lot of talent, starting with amazing, mesmerizing guitarist Kaki King, accompanied on drums by Kiran Gandhi of Madame Gandhi. Following up, a three way collaboration between experimental violinist Jeanann Dara, singer Katie Von Schleicher of mellow rootsy quintet Wilder Maker and out of control noise rock DIY artist Rose Blanshei of Prima - this one promises sparkles. 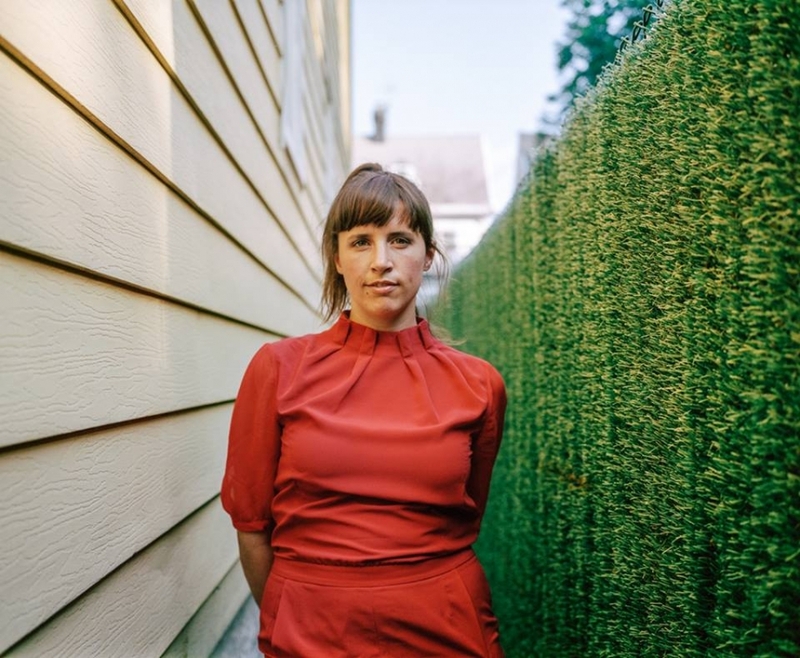 The night will end with three more women on stage: soulful singer Alisha Roney of Feathers+Eyes, classic soul singer Amy Leon and Bridget Kearney from wonderful folk rock band Lake Street Dive. This is going to be a great night of music, see you there, there will be a lot of Deli mags for you to read in between performances! 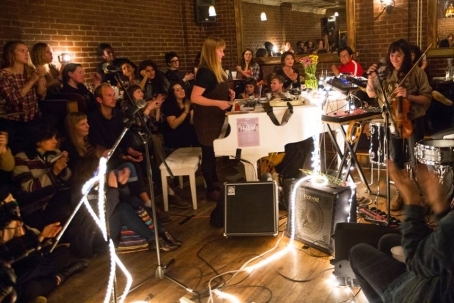 The Deli's Folks (in the picture, by David Andrako; Lorna Dune and Emily Wells at last week's installment of The Hum).